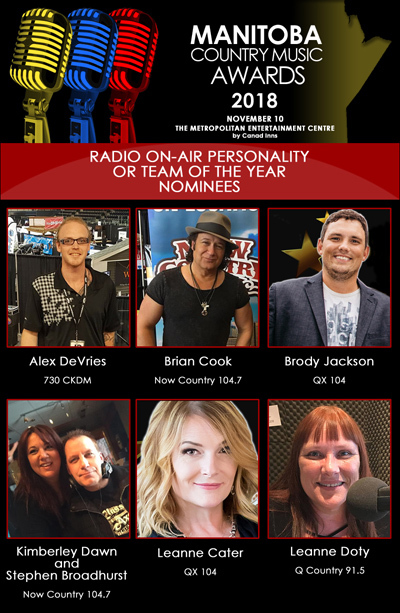 The MCMA Awards Show would not work without the INCREDIBLE support of our volunteers. 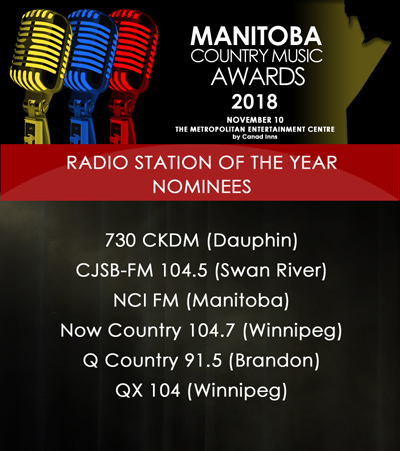 Do you have your tickets for the 2018 Manitoba Country Music Awards? 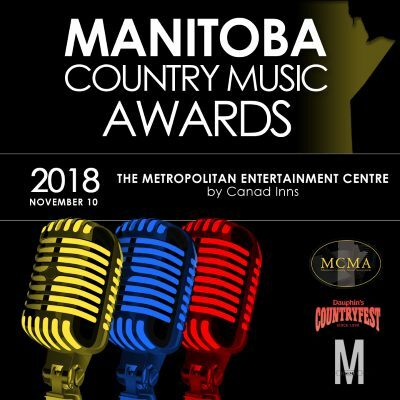 On November 10 2018 the Manitoba Country Music Awards presented by the Manitoba Country Music Association (MCMA) and Dauphins Countryfest, will be held at The Metropolitan Entertainment Centre by Canad Inns in the heart of Downtown Winnipeg. 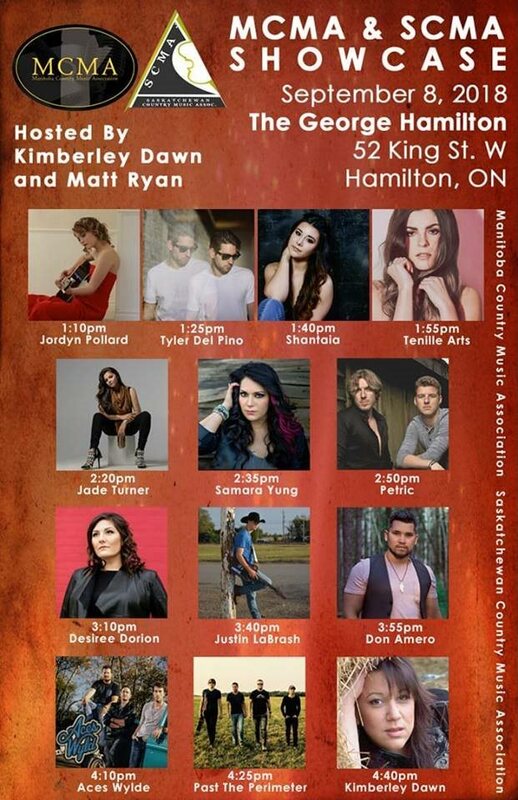 This is an evening not to be missed as we bring the provinces largest country music community together. 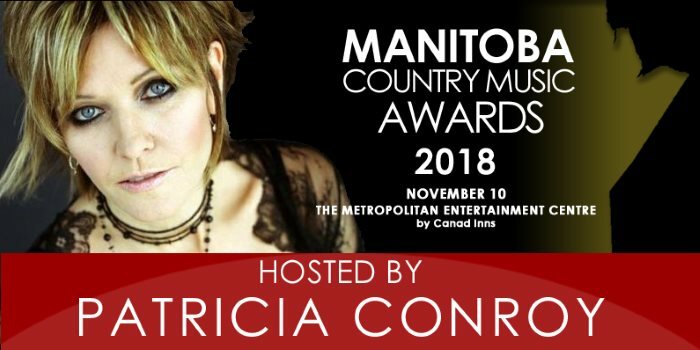 Several of Manitoba's top country acts along with host Patricia Conroy will entertain guests as the prestigious awards are handed out. Note: Doors to the performance area will be closed once program starts and entry will be based on program breaks. 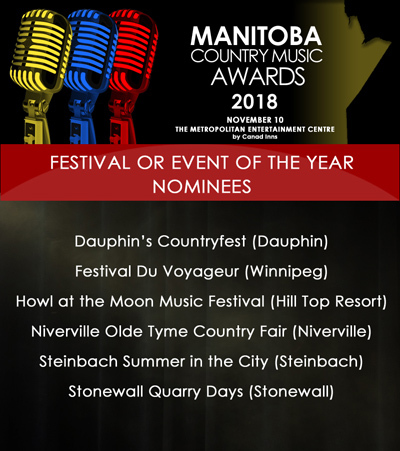 Congratulations to all the 2018 Manitoba Country Music Awards Nominees. 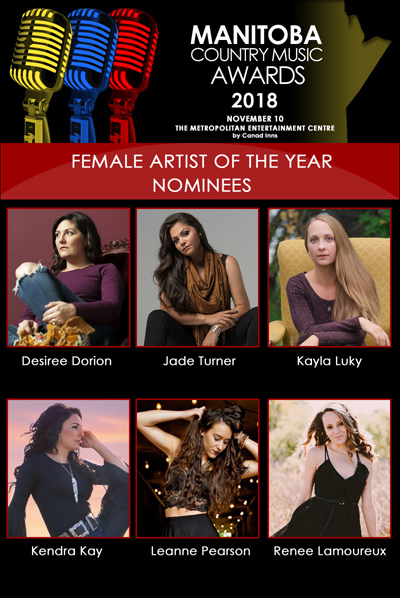 From 12:00 am CST July 1st, 2018 to 11:59 pm CST August 14th, 2018 all eligible MCMA members may nominate TWO AND ONLY TWO contenders in each of the member voted 19 categories. 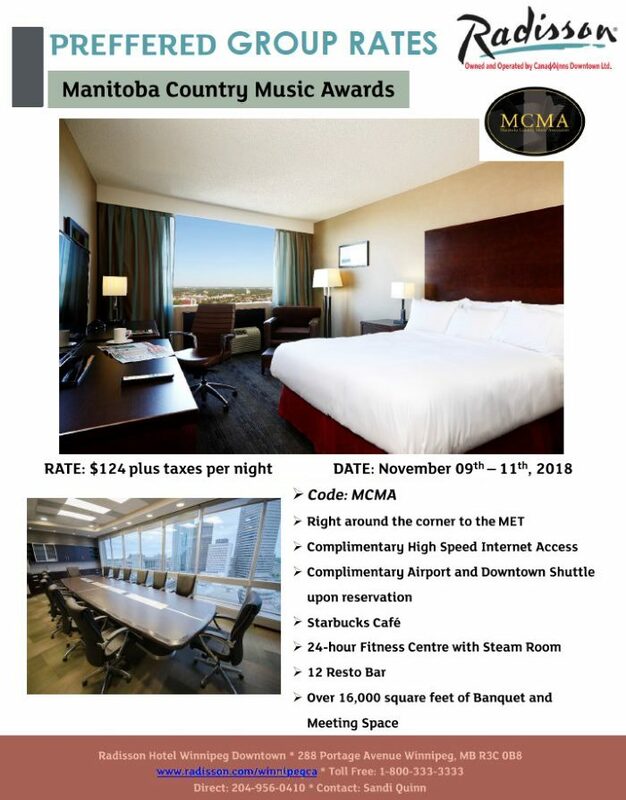 For eligibility and Category descriptions please refer to the 2018 Manitoba Country Music Association Awards MCMA Awards Rules & Regulations. 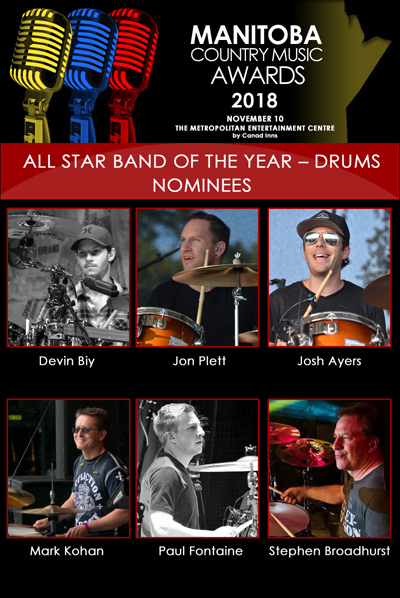 The six (6) Contenders receiving the majority of nominations in each category will appear on the Second (Final) Ballot as nominees, providing they meet the eligibility requirements as determined by the MCMA Awards & Balloting Committee. Second Ballot Contenders are required to be members of the MCMA. Thank you for exercising your right to vote! The Sons of the Pioneers are synonymous with the ultimate in Cowboy music. 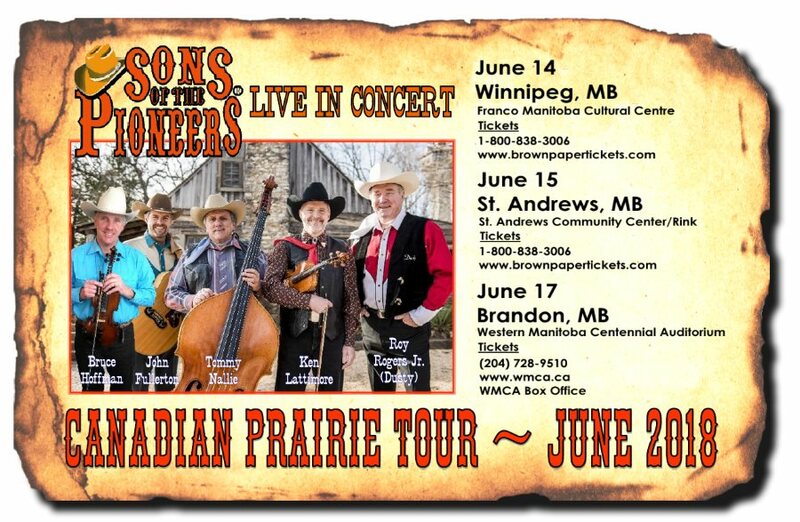 For decades the premier western singing group has musically painted unforgettable images and stories of horses, cattle, cowboys, "night herds", tall timber, cool water, canyons and prairies. Their original songs like "Tumbling Tumbleweeds", "Cool Water" and "Ghost Riders in the Sky" are classics forever entwined into the lore and mystique of the North American West. Both "Tumbleweeds" and "Cool Water" have been inducted into the Grammy Hall of Fame. Founded by Roy Rogers Sr. and the gifted songwriters (Winnipeg born) Bob Nolan and Tim Spencer; the group garnered national and international fans through appearance in almost 100 western films during the '30s, '40s and '50s. Numerous albums were recorded under contracts with Decca, Columbia, RCA and others. The group provided songs for several John Ford westerns including the soundtrack for "The Searchers" starring John Wayne. When television came along they regularly appeared on the Roy Rogers Show and had guest appearances on such programs as the Barbara Mandrell Show. Walt Disney called upon the Pioneers to supply the soundtrack for the film "Pecos Bill". They were the first cowboy musical group to perform at Carnegie Hall and the first to headline in Las Vegas casinos. 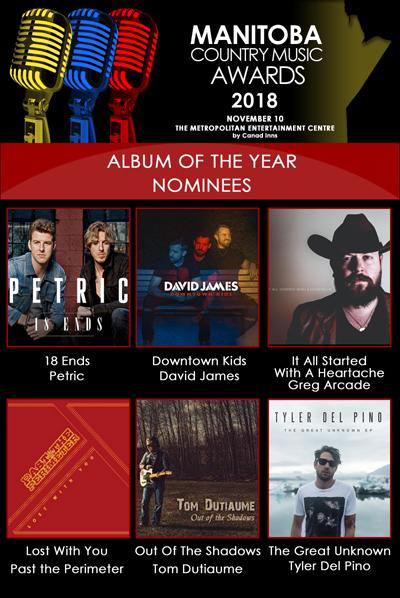 The current group's configuration is part of a continuous and uninterrupted 80-year existence in which they have accumulated more coveted honors and awards than anyone in Western music. 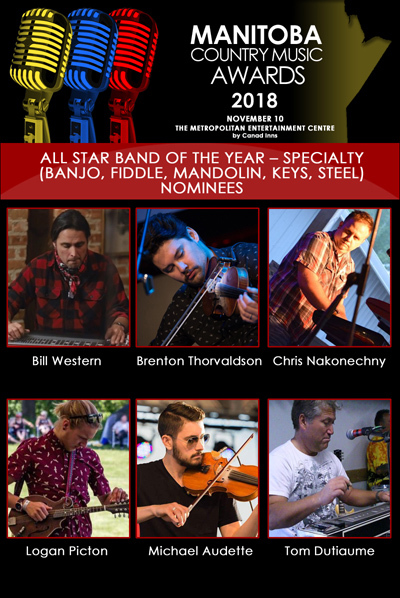 Current members include Roy Rogers Jr, (Dusty), Tommy Nallie, Ken Lattimore, John Fullerton, and Bruce Hoffman (fiddler). 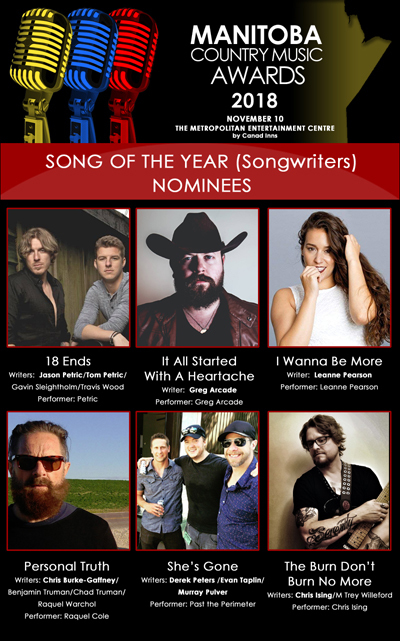 The group has historically been inducted into the Country Music Hall of Fame, the Western Music Association Hall of Fame and the National Cowboy Hall of Fame among others. The Smithsonian Institute named them as "National Treasures". The Pioneers are known around the world for their unique three and four-part harmonies. 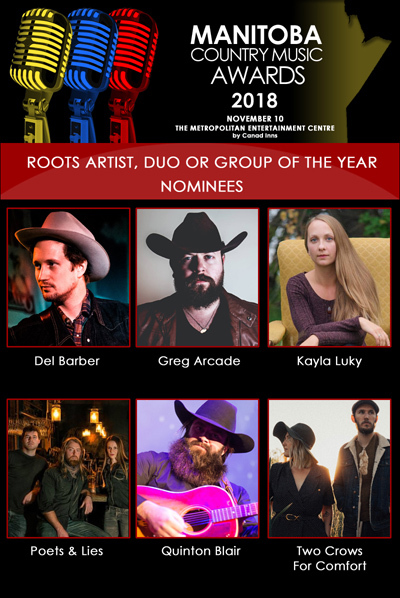 According to their "trail boss", Tommy Nallie who joined the group in the 1980's, "We are honored to be returning to Canada in 2018, and visiting different cities. We had Western Canadian tours in 2015, 2016, and 2017. We were Parade Marshalls for the Calgary Stampede in the 1990's." Nallie said "Every concert is pure Cowboy music packed with our timeless hits, solid western swing and a good measure of comedy and banter. Each of the five members share the vocals and instrumentals." Part of the hallmark sound comes from acoustic fiddles, upright bass, and lead and rhythm guitars. 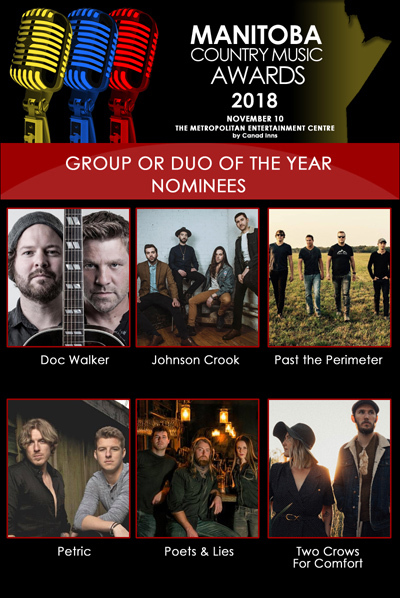 When not performing their regular theater concert season in September/October in Branson, Missouri, the Pioneers have recently been invited to perform on RFD-TV, PBS program, on Nashville's Grand Ol' Opry and at various theaters and festivals across the country. On November 10, 2018, the Manitoba Country Music Awards, presented by the Manitoba Country Music Association (MCMA) and Dauphin’s Countryfest, will be held at The Metropolitan Entertainment Centre by Canad Inns in the heart of Downtown Winnipeg. 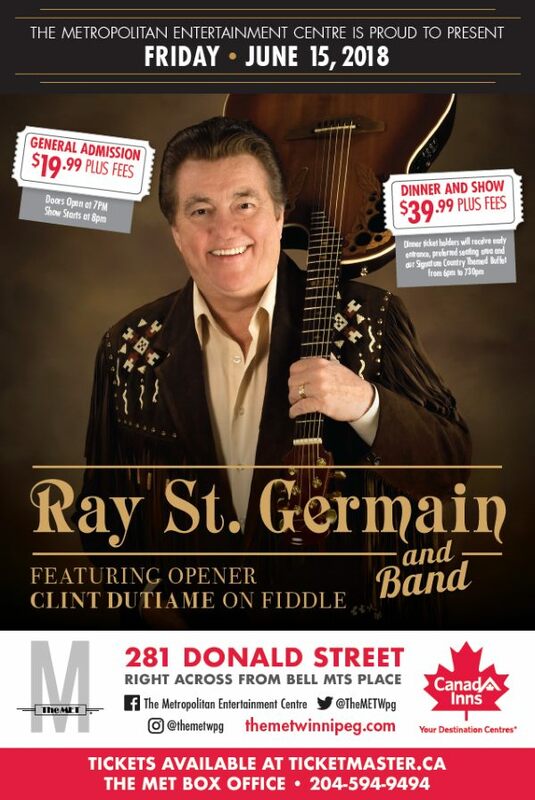 This is an evening not to be missed as we bring the province’s largest country music community together. 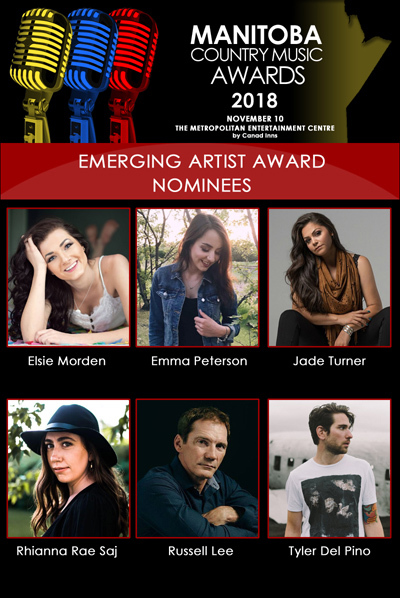 Several of Manitoba’s top country acts will entertain guests as the prestigious awards are handed out to the highest-voted artists. 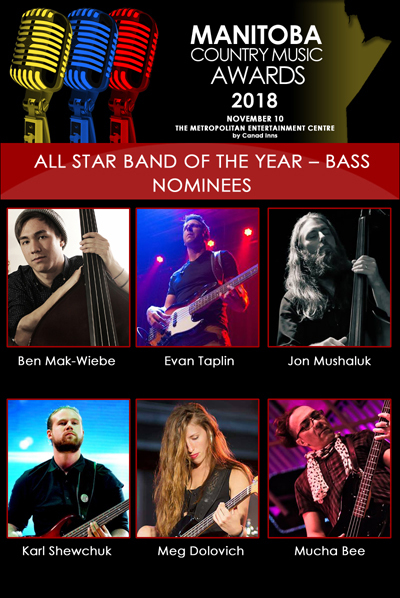 With the exception of twoawards that are voted on and determined by the MCMA Board of Directors, the MCMA Awards will go through a two-stage ballot process. MCMA membership is split in to two factions: Associate (Fan Only) members and Industry members. All MCMA members will be eligible to participate in the First Ballot (Nominate). 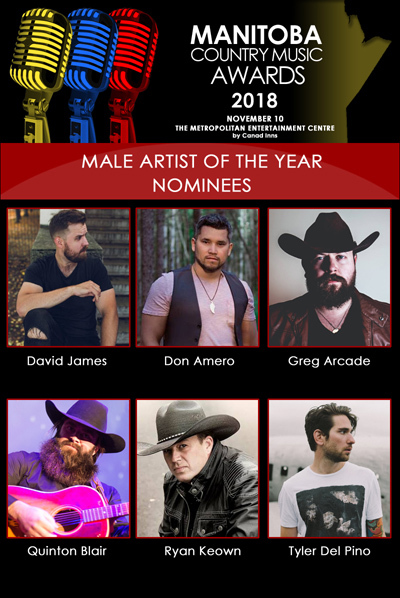 Only MCMA Industry members will be eligible to participate in the Second Ballot and must be registered with the MCMA as an Industry member by September 28, 2018. 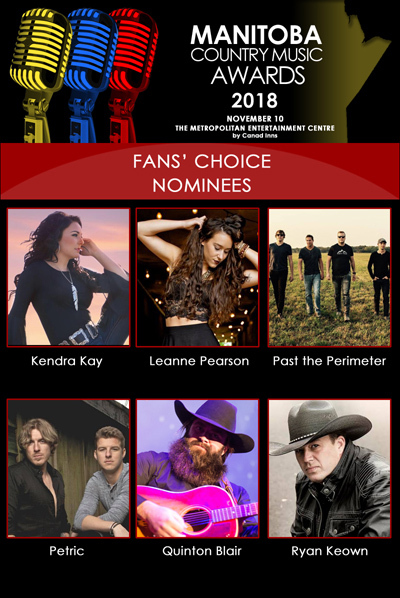 Fans’ Choice will appear on the Second Ballot as well as an Online Public Voting Ballot. 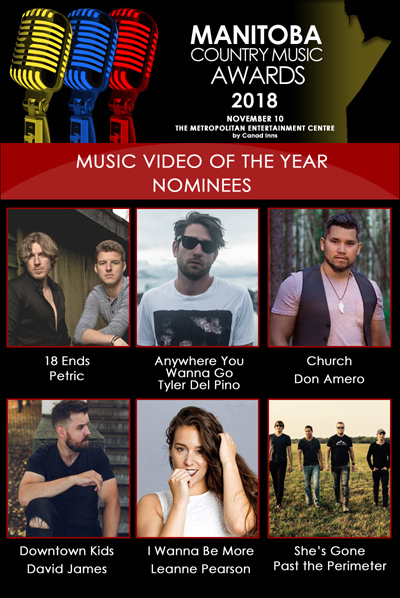 The public and MCMA Industry member vote tallies will be combined for a total number of votes to determine the winner of the Fans’ Choice Award. Click here to learn more about MCMA memberships and to register as a member of the MCMA. 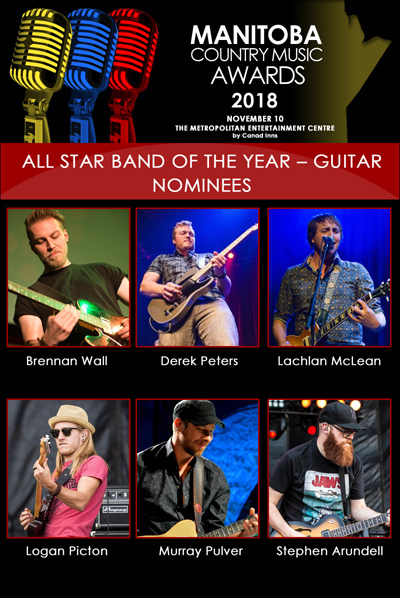 We strongly encourage fans and industry members to spread the word and vote as we celebrate Manitoba’s country music talent. 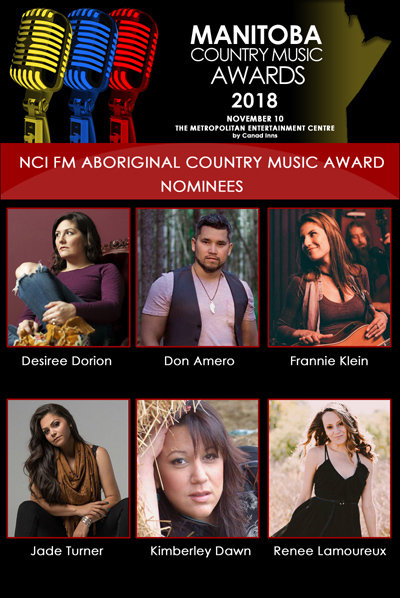 All final nominees are required to be Industry members of the MCMA as of September 1, 2018, in order to be eligible to participate in the Second Ballot. 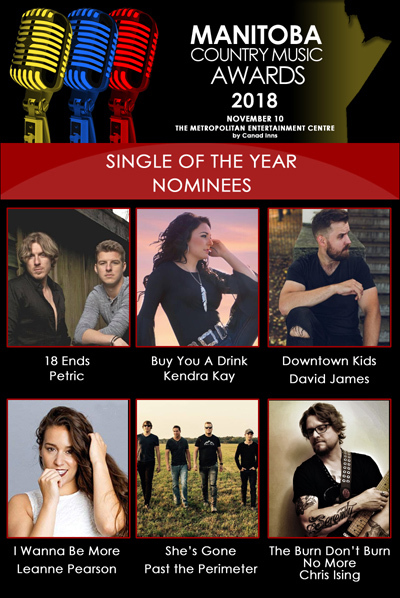 See the 2018 MCMA Awards Rules and Regulations for further details. The MCMA is looking for sponsors and supporters of the event. 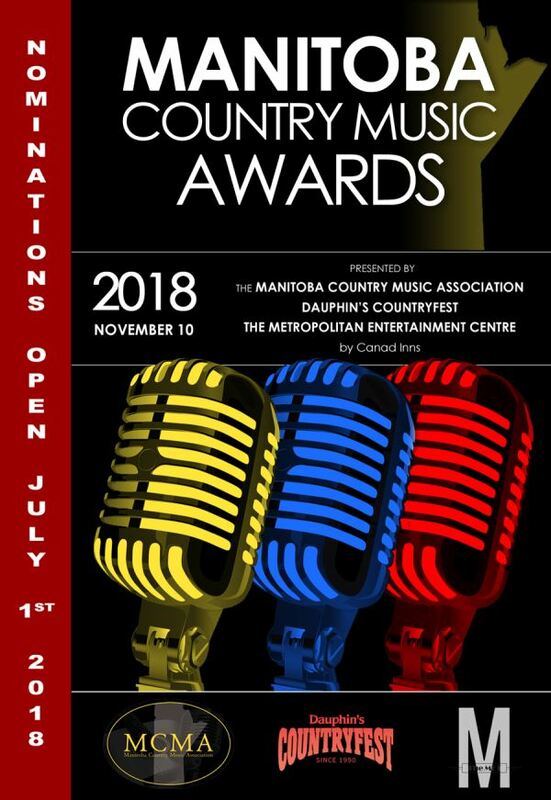 If you are interested, or know of any individual, group or businesses that maybe interested, please email the MCMA at manitobacma@gmail.com. 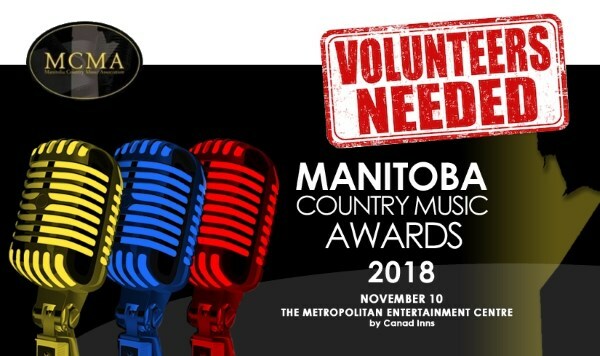 The Manitoba Country Music Association would like to thank Bruce Leperre for his countless years of service on the Board of Directors, it has been an asset that will be missed. Bruce, we appreciate everything you have done and continue to do for the Manitoba country industry. A huge thank you to Chris Gaudry for the past two years of expertise he has provided for the Board. We are happy to announce that Sean Borton and James Peace will be joining our Board of Directors for 2018. A very warm welcome and congratulations to our 2 new Directors, thanks for joining our team!